Back-up power for your iPhone 5/5S. Packs a full batterys worth of power into a sleek backup battery. Portable drop and charge power. Included PowerMat can charge two devices at the same time. Get the power of two phones in one, plus effortless wireless charging with this charger kit. Attach the SnapBattery to the AccessCase for double the power instantly when you need it. 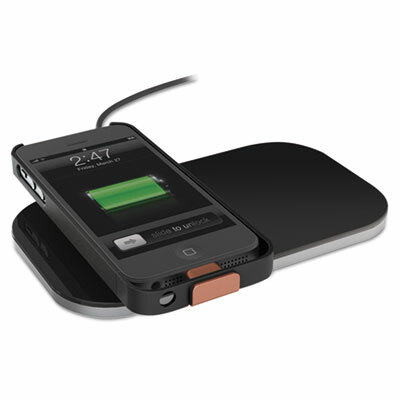 Simply place the iPhone 5/5S with AccessCase on the PowerMat for drop and go charging. The PowerMat can charge up to two enabled devices simultaneously, including the SnapBattery.